Corboy & Demetrio proudly announces that two new lawyers have joined the ranks of Illinois Super Lawyers for 2014, resulting in a total of 13 lawyers at the Chicago personal injury law firm earning Super Lawyers and Rising Stars designations. Every partner at Corboy & Demetrio and three associates now hold the honor of IL Super Lawyer. Thomas A. Demetrio, a founding partner of Corboy & Demetrio,was named to the Top 10 List of IL Super Lawyers. The Top 10 List features only the best of the best attorneys in Illinois who have the highest point totals in the Super Lawyers selection process, according to the legal directory. “I am thrilled to be considered among the best of the best when it comes to Illinois lawyers. It is because of the work that all of us do here at Corboy & Demetrio. 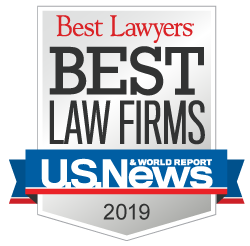 The fact that all of our partners are IL Super Lawyers speaks volumes about the tremendous effort all of us here put into all our cases,” Tom Demetrio said. This is the fourth consecutive year Tom Demetrio was named to the Top 10 List, and he has been on the Top 100 IL Super Lawyers list since the award’s inception. Additionally, he and seven other partners have been named IL Super Lawyers each year since the award’s inception in 2005. Corboy & Demetrio’s IL Super Lawyers include partners: David R. Barry, Robert J. Bingle, Philip Harnett Corboy, Jr., Michael K. Demetrio, Thomas A. Demetrio, Francis Patrick Murphy, Susan Schwartz and Rene A. Torrado, Jr. They are celebrating their 10th consecutive year as IL Super Lawyers. Partner Daniel S. Kirschner was named a Super Lawyer for the second year. Robert Bingle, David R. Barry, Jr. and Tom Demetrio were also named to the Top 100 IL Super Lawyers. Joining the list of IL Super Lawyers for the first time in 2014 are associate lawyers Kenneth T. Lumb and Michelle M. Kohut. Associate lawyer Edward G. Willer joined the ranks in 2013. Corboy & Demetrio associate lawyer William T. Gibbs was named to Rising Stars for 2014.